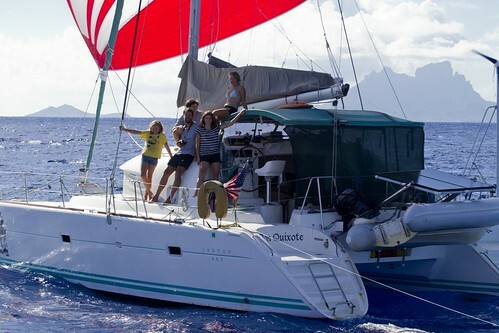 Dos Gatos is the companion blog to the excellent podcast “Podcastaway: the sporadic blog of the cruising catamaran Dos Gatos.” Martin's relaxed style provides an enjoyable window into cruising life in the Pacific. He details ports of call, weather and sea conditions, and goes into some considerable detail on good places to dive. I'll admit that I prefer the podcast, but then I love podcasts in general. The blog, though, supplies more details as well as includes many fine photos to enhance the story of their travels.